I just saw a flyer for a performance by the Western Australian Youth Music Association of The Planets by Gustav Holst. I’m only a casual fan of classical music but I have a recording of The Planets and it’s music that I often use when programming. Readers probably know or recognise some parts of The Planets, particularly “Mars”, which is used in many science fiction films/TV such as Star Trek and Space: Above and Beyond, as well as “Jupiter”, from which the melody for the Rugby Union song, “World in Union” originates. The performance is on Sunday May 31st. Let me know if you are interested in coming along. 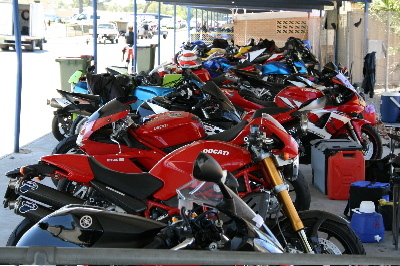 My brother Mat bought me a couple of motorcycle training lessons for christmas, I took one of them this afternoon. I learned with Evans Motorcycle Training on a Honda CBF250. First I got introduced to the controls: clutch, throttle, front and rear brakes and the gear shift. Then it was time to start her up and try to move off. It immediately brought back memories of my first days learning to drive a car. Keeping the throttle at a good level and controlling the clutch is a new skill when you do it with your hands. The throttle seems as sensitive as I remember the accelerator pedal feeling when I learned to drive. For the rest of the hour long lesson I did laps of the car park, getting used to the throttle, learning to use the rear brake and clutch to control the speed of the bike, and finally shifting up into second and back down to first. A great experience, I’m going for another lesson next week. The new Red Bull Racing Formula 1 car, the RB05, was unveiled today. I’m sure some aerodynamic changes will be made before the first race in Melbourne in late March. Nevertheless, the new, lower, wider front wing can be seen, along with the absence of winglets along the side of the car. The slick tyres look great and not even the tall thin rear wing bothers me in this photo. I wonder if Webber will finally have some luck this year. Hopefully breaking his leg in the off season will have been the last of his troubles. 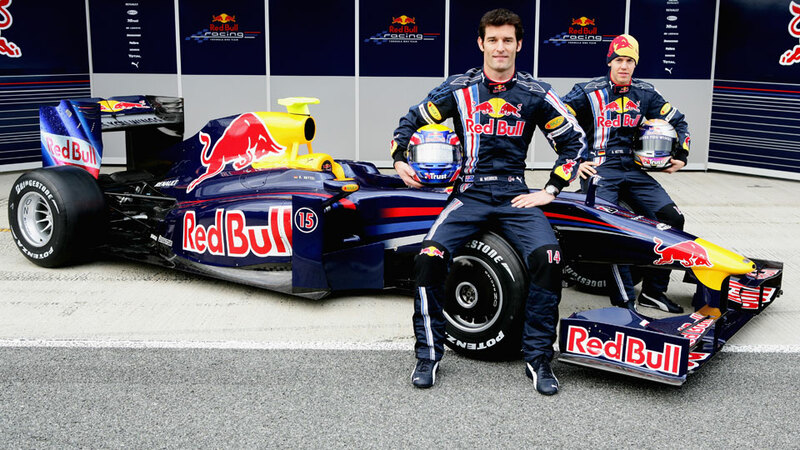 I can’t wait to see how Webber and Vettel compare driving the same car. I want one of these shirts. This weekend was Global Game Jam. I did not participate. You can check out the Perth entries in the Game Browser. 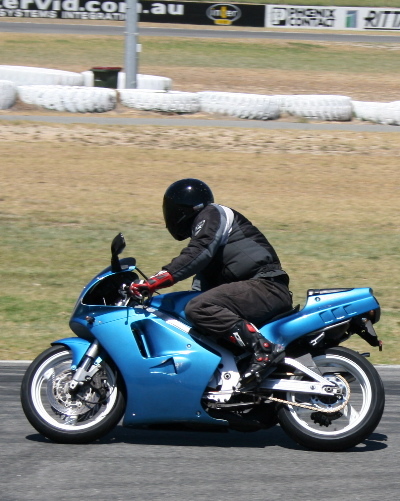 Last weekend Mat went to a track day at Barbagallo Raceway to race his RGV 250. Some of the racers have some pretty serious gear, even using tire warmers between runs.